Following is an excerpt of SIS International Research interview with Prof. Augusto Agosto by Anita Meng, SIS International China Manager, on Philippine valuation. SIS International Research is a Market Research and Strategy Consulting firm in New York City. It has conducted projects in over 120 countries, and have serviced some of the world’s largest and most influential companies and organizations, including over 70% of the Fortune 500. SIS International (SI): Please tell us about yourself. How long have you been working in real estate appraiser/valuer services in your country? Your field is commercial, residential side, factories, warehouse or other facilities which organization you are working with and your specific occupation. Augusto Agosto (AA): I am Augusto B. Agosto, a Philippine Regulation Commission (PRC) licensed real estate appraiser, broker and environmental planner, and an accredited PRC speaker and lecturer. Currently, I am the Vice President of Philippine Association of Real Estate Board (PAREB) and designated Chairman on Appraisal Education. PAREB is the oldest and widest real estate organization in our country. It is composed of 60 local boards with more than 5,000 members, in different cities and provinces, nationwide. I am the Principal Appraiser and Owner of AA RealtyPro Solutions, an appraisal and consulting firm based in Cebu City, Philippines. As a practicing appraiser, I already appraised properties of various type such as residential, commercial, industrial and special purpose. I was appointed several times as appraisal commissioner and expert witness in different court, local and abroad. Also, I am a part-time lecturer at the University of San Carlos, School of Business and Economics, teaching real estate management and finance, where I am also taking up Master of Arts in Economics. SI: Can you share with us the overview of real estate appraiser/valuer/valuer market in your country? AA: Real estate appraisal, as a profession, in our country is quite new, or different. The early appraisers were all product of training and designations that was held in 1961. Since then it has been supervised and regulated by the Department of Trade and Industry (DTI). In 2009, the passage of Real Estate Service Act (R.A. 9646), signals the transfer of regulation from DTI to Philippine Regulation Commission (PRC). It is now recognized as a profession rather than a trade or business. In a study conducted by a real estate appraisal company, the market size of real estate appraisal industry in 2012 is P350 Million. It is based on the reported financial statements of different appraisal companies but excludes the revenue generated by independent valuers and small appraisal companies. There is a surging demand for appraisal services today. The public knows the advantages in hiring an appraisal for various transactions. Government agencies is now implementing the provision of RESA and hire the services of a licensed appraiser. The current market in appraisal includes the seller and buyer in real estate transaction, business compliance, court litigation, government assessment, divorce and marriage settlement abroad, government projects and more. The B2B market usually served by the multinational appraisal companies like Colliers, CBRE, JLL and Knight Frank. The biggest local appraisal companies dominate the B2B local market and the government appraisal projects. While the “independent” appraisers cater to B2C market and a portion of B2B market. As to the number of appraisers in the country, we have more than 10,000 licensed appraisers. This is based on the record of the Philippine Regulation Commission. During the DTI period, we have only a few practitioners serving the Philippine appraisal market. These numbers can be divided into company hired appraisers, independent, assessors and employed in bank or government institutions. SI: Do you have any regulatory body in your country? If yes, who is the regulatory body of real estate appraiser/valuers in your country? If no, who is the player/agency that oversees the regulation side? Regional or international body? What kind of special regulation in your country? AA: Yes, we have a regulatory body-the Philippine Regulation Commission through its Professional Regulatory Board of Real Estate Service (PRBRES). The difference of our regulatory body is that it attend also to other professionals like the real estate broker and consultant. The Philippine Valuation Standard was crafted by the Department of Finance (DOF). It served as a guide to government assessors in setting assessment. However, other government agencies implement their own method and mechanism in valuation. SI: How many professional societies/associations in your country? Who are they? How they operate? Self-supported or government funded? What’s their main function in the industry? How they recruit members? Providing any education program? If appraiser/valuers were to join the organization, who pays for the membership fees? Individuals? Companies? What about further education? Do companies sponsor? AA: There are two dominant appraisal organization in our country- the Philippine Association of Realty Appraisers (PARA) and Institute of Philippine Realty Appraisers (IPREA). The former is mostly engaged in providing seminars-comprehensive professional development and recruitment of members from their participants and beneficiaries in the educational program. The latter is aligned with Asean Valuers Association and Royal Institute of Chartered Surveryors (RICS), which is more focus in providing seminars on International Valuation Standards and recruiting members through education program and affiliation with international organizations. There are regional organizations in Baguio, Western Mindanao and other areas in which their existence is based on mutual aid and helping each other in practicing the profession. The members pay the membership fees, while companies and banks provide their employees a budget for the seminars and conferences. 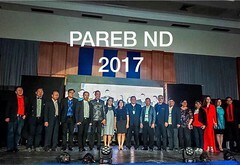 The Philippine Association of Real Estate Board (PAREB), having a number of appraisers in its membership, formed the PAREB Appraisers as an arm to propagate and bond appraiser-members together through seminars, mentoring programs and sharing of clients. PAREB Appraisers has a nationwide character, as reflected from its mother organization-PAREB. Recently, there are international organization and institutions that invites Filipino Appraisers in their seminars and conferences abroad. These organizations are the Thailand Real Estate Business School and the Singapore Valuers Institute. Most of the big appraisal companies employ licensed appraisers. However, some positions which are clerical and technical in nature is provided by non-licensed. The range of compensation is P 18,000 to P 30,000 per appraiser. But if you are in private and independent, your income is based on how much you have appraised. You can have a private assistant, but you need to market yourself, do the office work and collection of the professional fee. AA: Under the PRC, an individual can be an appraiser if he/she can fulfill the requirement to take a board examination. The requirements pertain to educational qualification, good moral, and the mandatory 120 hours comprehensive review/seminars. But recently, the educational requirement, a graduate of Bachelor of Science in Real Estate Management, as required by the Real Estate Service Act has been fully implemented. Currently, the government through the Philippine Regulation Commission require a license to practice the profession. As long as you have the qualification to become an appraiser, then you can take the board examination provided by PRC. The passing rate is 75% with no subject that will fall below 50%. To date, we have more than 10,000 licensed and accredited appraisers nationwide. Once you passed the board examination, you can get a license to practice the profession. The license will last until three (3) years, after this period an appraiser can renew their license but should get 45 hours comprehensive professional development through PRC accredited provider. Seminar and training of different organization focus on legal, international valuation standards, technical know-how, technology and workshops on field appraisal. SI: Which institutes/organizations are in charge of / providing real estate appraiser/valuer education? What kind of program(s) available? AA: Appraisal education has been provided by different real estate associations. These organizations and their speakers are mostly accredited by PRC. These associations have their outlined programs and should be submitted and approved by the PRBRES. Meanwhile, Colleges and universities provide the 4-year Bachelor of Science in Real Estate Management. These schools are all accredited by the Commission on Higher Education (CHED). SI: What are the currently unmet needs in terms of appraiser/valuer education in your country? What kind of content is most needed? AA: There should be a wider propagation on the International and Philippine Valuation Standards, broadening of understanding on complex appraisal, income approach, and litigation appraisal. Most of the appraisers in our country is not practicing, because they lack practical knowledge on how to conduct an appraisal. The universities with combination of academic and experience. We need to come together to bring experience and understand the international standard. It’s very important. New appraisers are most interested in training and seminars on these aspects. SI: International education, is it needed in your country? Estimate acceptance level and demand from appraiser/values? AA: Yes, as far as I know, for us, we are looking for a combination with international valuation standard and education to enable us to be at par with global standard. We are now in a global era, we should grasp and apply the international standard to be more competitive in our profession. Actually, we are about to attend a seminar on the appraisal in Bangkok, Thailand. There are also organizations that provide education to foreign instructors, lecturers to enable them as a member and have international knowledge. SI: What do you consider an ‘ideal’ continuing education? AA: Continuing education should be ladder zed and spiraling upward. We have gone through to the basic of appraisal, we need to learn more on the intermediate and next to advance knowledge. The education should serve to raise the level of professional practice, not in purely theoretical and academic discussion. We have experiences in valuation such as using income analysis of properties, public properties, and special purpose properties. We have to know more to provide our client the best service they deserve. Continuing education should not be seen as a mandatory requirement in license renewal, but rather it should help us in raising the level of professional practice and broaden our knowledge on current trends and practice in the international level. Since the first world is more advanced in appraisal practice, we welcome international standard education and the provision of materials in educations such as books, magazines and social media sites from international. AA: The Philippine Association of Real Estate Board is currently associated with ARENA or the ASEAN Real Estate Network Association. However, this formation is mostly composed of brokers and agents. There is no real estate appraisal education or topics yet in most of its conferences. There are other organizations such as the ASEAN Valuers Association (AVA) but it is restricting itself to membership only to IPREA, as a representative from our country. There are US organizations like the National Association of Realtors (NRA), which provides education in international real estate selling. SI: Have you worked with/been in contact with any overseas real estate appraiser/valuer associations before? Who are they? How’s the past history/experience? AA: Yes, I have been in contact with the Singaporean Institute of Valuers. we have. Asian Valuation Organization, PARA also has an international organization, some organization also try to connect with International Valuation Standard so they invited us in Singapore this coming June. AA: We want to be associated with international values. In association, we are always looking for valuation in seminar and experience as far as appraisers and above, all of us. I know Appraisal Institute from the US and we tried to reach them by going on the website, but I have no available time to comply the requirement. I tried also to reach out RICS, but they are exclusive for IPREA. These global organizations are practicing exclusivity in dealing with local organizations. Thus, we cannot join them. We need organizations that will welcome us, and teach us on the appraisal. AA: Appraisal Institute has been known already in our country. I for myself have tried to apply for membership. As what I’ve observed in their website, they have advanced experiences and theoretical knowledge on valuation education and practice. I think the best model for providing education in our country is to partner with a local organization with a wider membership. Education should help in raising the professional experience. For the practicing appraiser, having an education that will augment our knowledge to give more reliable valuation and actual valuation. So that we can give the client the best product we have in the appraisal. English is good, it is the second national language. However, we now have appraisers who study Chinese. We have more clients from China. But still, we are more familiar with English than other languages. SI: Anything else in terms of partnership with overseas organizations? Do you know international organizations that offer high-quality training program? Anything you know about Appraiser/valuer Institute from the US? AA: If there are organizations like AI, I suggest that lecturers come from the US; we have a lot of client from the USA and some from Australia. Speakers and lecturers from the developed countries can give us more knowledge and practical experiences. I suggest having a partnership with the international and local educator, speakers and lecturers. It will give advantages to both sides. The international will provide quality and world-class lectures while the local can rally the appraisers to listen and learn. SI: What opportunities do you think the valuation profession has over the next few years? AA: First, along with the government program in build, build, build and acceleration of revaluation of zonal valuation and assessments, there are new service scopes and demands, such as public bidding, technical valuation, and government projects. These new developments all requires valuation services to provide the corresponding value. The implementation of ASEAN and the globalization of business, the market will increasingly play a decisive role in the allocation of resources and new valuation businesses focused on areas like technical valuation, government assets valuation, PPP project valuation, heritage sites valuation and ecological environment valuation will create new markets and business opportunities for the valuation industry. Additionally, the regionalization of real estate development has brought new development opportunities to the valuation in the provinces. The valuation industry will play an essential role in overseas mergers and acquisitions and will guide the rational allocation of resources on a global scale in the public interest. Thus, appraisers should hone their craft to take advantage of these global and local changes in business environment and government policies. They should foster unity and strengthen the trust of the public on valuation. They should ensure the independence, reliability, and trust in valuation to help people in decision making. It could only be done through adoption and implementation of uniform valuation standards by real estate appraisers and the public in general.